The bail-out of Wall Street during the global financial crisis in 2008 set in train a titanic transfer of debt from the financial sector to governments around the world. The debt of the speculators became the public debt, our debt. But this gift for Wall Street and for speculators world-wide – indeed for these who had caused the crisis in the first place – did not end with merely a trillion-dollar goodie-bag of bail-outs. Arguing it would ignite economic growth and help everybody, the US Federal Reserve sent its printing presses into overdrive. In the US alone, the money supply has since ballooned by $US2.6 trillion. This money-printing, or ‘quantitative easing’ as it is euphemistically described, has worked a treat for bankers and speculators. And it has pushed share markets up. But the prosperity in the finance sector has not been matched elsewhere. And government debt hovers at ever critical levels. To this day the profits of the banks are privatised and their losses socialised. As bank profits hit new heights, hedge funds run amok, borrowing from the Fed near zero, gearing to the hilt, and speculating. High-volume algorithm traders ramp security prices and, existing beyond the realm of regulation, perpetually render markets susceptible to a crash. In Australia, there was no cash bail-out as there was on Wall Street. Propped by government guarantees, and burdened by far less leverage, our financial system proved more robust during the financial crisis. Still, the level of corporate welfare for financiers has now extended to the point where the banks have been explicitly backed by the taxpayer – via a $380 billion Reserve Bank bail-out fund. In light of the prosperity which the taxpayer is affording the banks – and given the banks’ capacity to pay, it is only fair for society to expect some payment in return, some recompense. And so governments need to overhaul the tax system, cut inefficient taxes and impose a financial transaction tax. Also dubbed the ‘Robin Hood’ tax, a financial transaction tax should be designed to hit speculators and the derivatives markets but not undermine bona fide investment, nor core banking revenues. Clime Capital funds manager John Abernethy calls it ‘the tax no one wants to discuss’. The debate on tax, he says, has been debauched by special interest groups, “people who would propose a levy on depositors but refrain from proposing a levy on borrowers. “It is these entities who coerce the IMF and governments to ignore the tens of trillions of dollars that are speculated in derivatives markets and which are under-regulated and largely untaxed’. The irony here lies in Abernethy’s profession. As a funds manager, you might expect him to espouse the institutional view of the finance industry, that there would be a risk to liquidity from a transactions tax. He sees the liquidity argument as ‘nonsense’. Real investment would continue, even prosper in the event of a transactions tax, as it would take what he calls the ‘leeches’ – investment bankers, derivatives types and high-frequency traders – out of the market and restore public finances. The failure of politicians to debate Australia’s tax structures is ‘one of the most gripping indictments of our time’, he says. 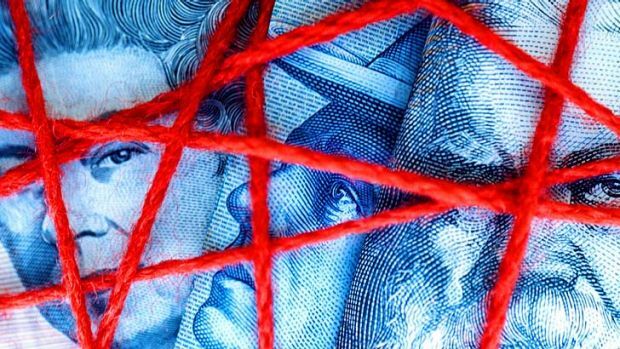 As for the government’s $733 million levy on bank deposits – as the quid pro quo for the Reserve Bank’s bail-out fund for the banks – John Abernethy describes it as just a ‘budget shuffle’ designed to generate one-off tax revenue. That is despite its classification as a ‘depositors’ insurance fund’. “No amount of money in a depositors’ fund will be enough if things go wrong. The size of retail deposits in Australia is of the order of $1.5 trillion and so the creation of a billion dollar depositors fund is a pathetic and ill-conceived policy. Indeed, it makes us wonder whether it was conceived by an investment bank,” says Abernethy. The Opposition has indicated it would accept the proposed $5.3 billion lift in tobacco excise as well as the $733 million levy on bank deposits but rejected the $1.8 billion rise in fringe benefits tax on cars. It is all tinkering at the edges in any case, delivering little in the way of the constructive reform required to fund even Australia’s near term future. In the face of trenchant opposition from the finance sector, Europe is edging closer to the introduction of a financial transaction tax. It needs it. The way things are going, Europe’s debts can never be repaid. But it is a struggle. The plan by France and Germany and nine other European countries to tax financial transactions is to be delayed by at least six months as the countries have yet to agree on key aspects of the levy. Eleven EU members agreed to adopt a financial transaction tax in September 2011. It is to apply at the rate of 0.1 per cent on stock and bond transactions and 0.01 per cent on derivative trades. The other signatories are Austria, Belgium, Estonia, France, Germany, Greece, Italy, Slovakia, Slovenia, and Spain. Together with the French and Germans, they comprise 90 per cent of the union’s GDP. Don’t hold your breath for any action on these shores though. It may take a doubling in the nation’s debt and a doubling in the profits of the banks before the matter is given the consideration it deserves. As cowed as the government and opposition are by the banking oligopoly in Australia, even a serious discussion is yet to take place.